We will probably never stop participating in some way to support Nepal’s long-term recovery and redevelopment in the aftermath of the devastating April and May earthquakes on 2015. The incredible support of our fundraising for OXFAM’s immediate relief work in Nepal has had immeasurable impact already by preventing secondary crisis and providing immediate needs. We are now turning our attention to long-term restructuring that reaches those in greatest need. (Please note, there is a minimum donation amount on this fund because of the way it is set up at this foundation. If you are still concerned enough about Nepal to be reading this post, you will understand that there are logistical explanations for this minimum $ requirement (beyond our control), but that we certainly do not expect that all who wish to support this cause should feel they must meet this minimum amount. We also accept donations of any amount at Zumi’s, which can be pooled together and sent in to this fund via Zumi’s. If this is not for you, another option is to visit our recommended charities page; feel free to ask our advice in selecting one of these very worth organizations to make your contribution of any amount. You can contact us at zumis@zumis.com). The earthquakes that happened in April and May in Nepal killed almost 9,000 people. Homes and schools were destroyed, and many people still lack reliable access to food, water, and sanitation. A recent UN report estimated that 2.8 million people need “urgent help.” It’s because of this that The Center for Global Philanthropy at The Philanthropic Initiative established The US-Nepal Fund at the Boston Foundation immediately after the first earthquake. The Fund is a unique donor advised fund that will draw from the wisdom of Nepali Americans and international development experts to assist grassroots Nepali organizations caring for the victims of the earthquakes. A committee of well-connected people from Nepal living in the US will provide strategic advice, cultural competence, needed networks, and crucial expertise to ensure every dollar sent goes to organizations that can have the greatest impact locally. All funds raised will support community-led, long-term reconstruction and renewal with attention to human rights. 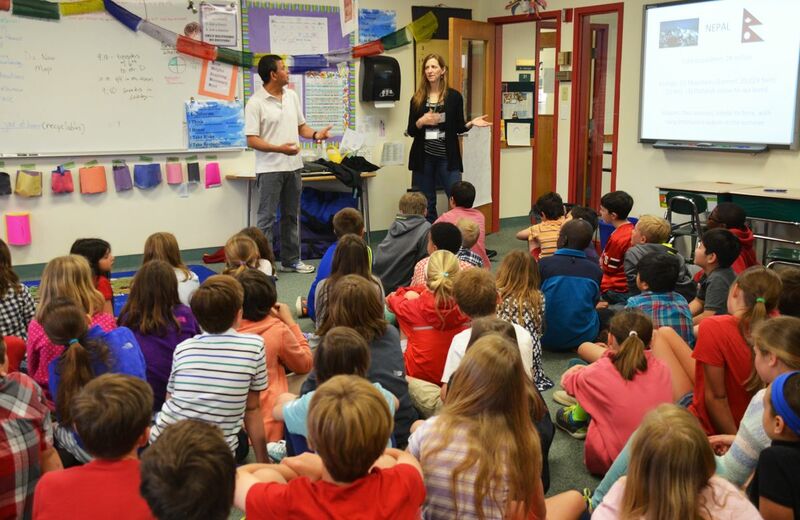 The US-Nepal Fund is seeded by a challenge grant from donors of the Boston Foundation community, Karen Keating Ansara and Jim Ansara. The Ansaras, long-time grant makers to Nepal, will match the first $100,000 in gifts from other funders. All donations will support the ongoing reconstruction and renewal efforts, as administrative fees will be covered through the initial grant. As of July 27th, the Fund has raised $158,640, including the 1:1 match from the Ansaras. Our goal is to raise at least $200,000 by X DATE. All funds will then be distributed by December 2015, providing financial support when it’s often most critical—after the media attention has died down but while people are still living in dire circumstances. The US-Nepal Fund will be directed by the Center for Global Philanthropy, a group of grant makers, social investors, and advisors catalyzing tens of millions of dollars around the globe through strategic advising, innovative partnerships, and original research to help in the response of immediate crises, such as the Nepal earthquakes. We invite you to consider making a gift to support the ongoing relief efforts in Nepal. 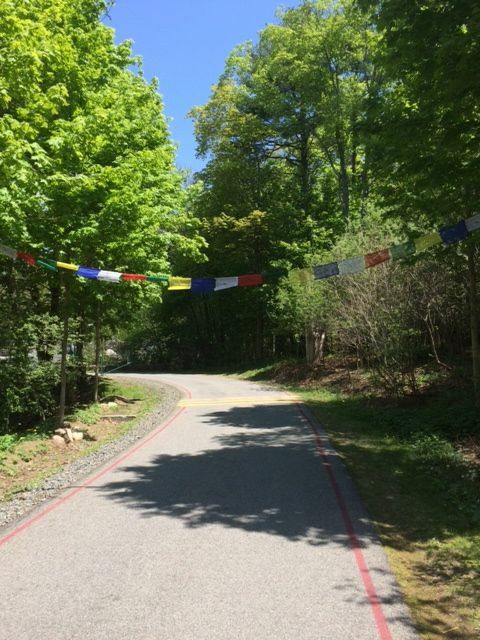 You may recommend a grant from a donor advised fund at the Boston Foundation or visit The US-Nepal Fund at the Boston Foundation to make a gift online. Checks may be sent to The Boston Foundation at 75 Arlington Street, 10th Floor, Boston, MA 02116; Checks should be written out to The Boston Foundation, with a notation that this gift is to support US Nepal Fund. 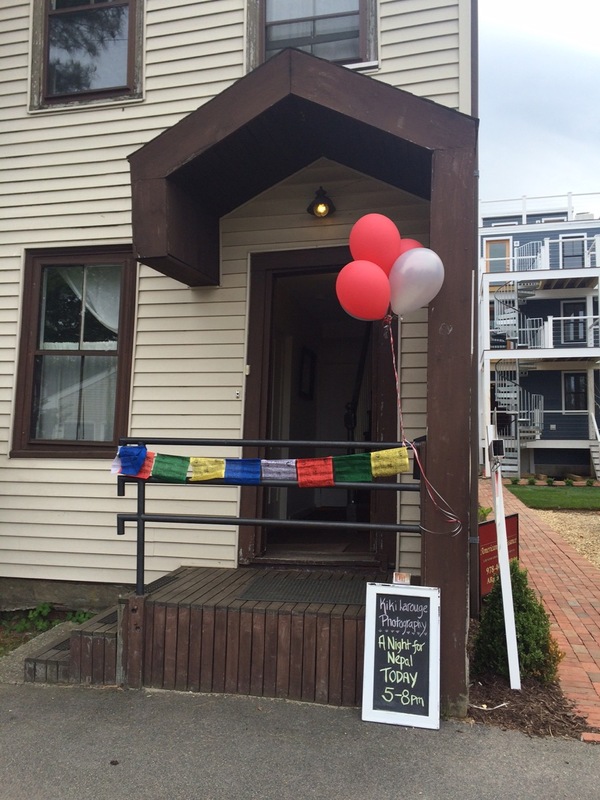 Stand with Nepal Event great success! 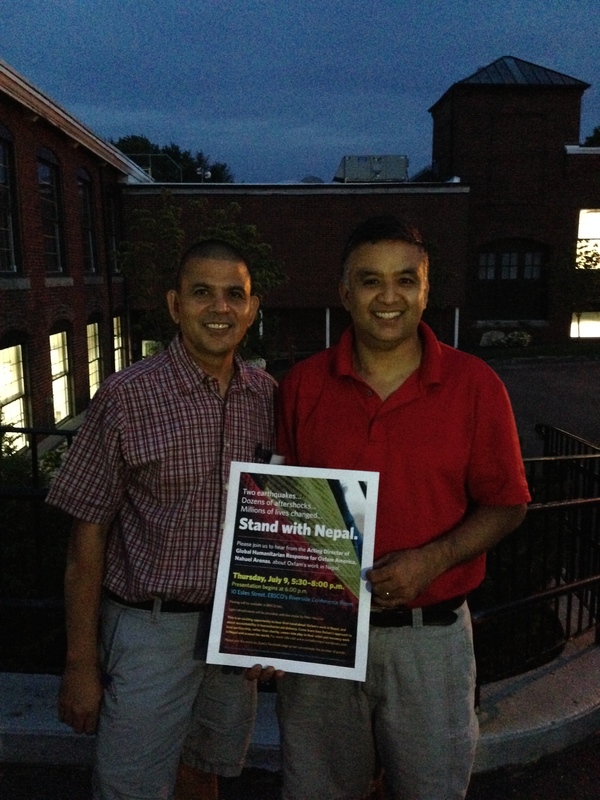 Thanks to this amazing community, over 130 participants joined this “Stand with Nepal” event – It was standing-room only! Informative presentation from Oxfam America’s acting director of global humanitarian response, Nahuel Arenas, was followed by involved discussions with local representatives from US-Nepal Fund, All Hands Volunteers, Himalayan Health Care, Headwater’s Relief, EDWON, and Pailo-Paila Donation for Nepal. The news dwindles, but the need stays, and our remarkable community stands with people in their time of need. Thank you everyone. for Action Against Hunger and the Japan International Cooperation Agency (JICA) in different countries, and consulted for UN-HABITAT. He holds a Master’s degree in International Politics by the School of Oriental and African Studies (University of London), and degrees in Crisis Management and Public Policy. Nahuel joined Oxfam America in 2013 as Deputy Humanitarian Director, and is currently Acting Director of the Humanitarian Response Department. The following individuals reside locally and are actively and directly involved with specific aspects of recovery and redevelopment in Nepal. David Campbell, a former tech exec from Carlisle, MA, has managed over 50 disaster response projects around the world over the past 10 years. He combines lessons learned elsewhere with locally specific circumstances. In Nepal, his organization is currently planning TLC construction, with intentions to do housing and school builds. “In addition to meeting with over 20 potential partners for reconstruction projects (such as Mercy Corps, Room to Read, and Unicef), All Hands’ response teams are currently working with the Nepalese Army and Engineers Without Borders in Melamchi, Sindhupalchok . . . Note: Visit the website of their local partner: www.nepalrises.com to view a film just released. David will be departing for Philippines and Nepal on July 24th, and will be in Nepal July 31st to August 10th. Dr. McKersie is a family physician from Lawrence, MA, who has volunteered in Nepal through HHC, Inc. for the last 13 years. He has also volunteered in Haiti, post 2010 earthquake, the Dominican Republic, and South Africa. Presently, he practices the full gamut of family medicine both in this country, where he is on the faculty of Lawrence Family Medicine Residency Training Program; and internationally. Up until the earthquake, HHC was involved in a three-pronged approach to sustainable community building: healthcare, education, and income generation. Since April 25th they have been involved in rescue, relief, and now rebuilding operations in the 4 villages (Tipling, Shertung, Lapa, and Jharling) in the Dhading region, north of KTM. They hope to continue their medical treks to affected villages as well as massive rebuilding needed there. Note: the award winning movie “Hearts in the Himalayas,” that was produced about HHC’s work in Nepal, can be found on the HHC website. It is 20 min long. Dr. McKersie had just returned to the States from Nepal, after a three week medical mission with his medical residents, when the earthquake hit. He returned one month later, for two weeks of relief work, and he will most likely return to Nepal in the Spring of 2016. Headwaters Relief is a nonprofit organization founded over 10 years ago (founder is Kelly’s friend Dr. Rebecca Thomley, CEO and owner of Meridian Services, where Kelly worked as Executive Director when she lived in Minnesota). Headwaters is partnered with World Vision and Gr3 for disaster relief and mental health support. In her recent trip to Nepal, Kelly’s team worked out of Scheer Memorial Hospital in Banepa and Jiri Hospital in Jiri, Nepal. Their role was to train the Doctors and medical staff on Psychological First Aid. They also spent many hours in the villages of Nepal that were hardest hit, working with the families and children providing support and counseling in the aftermath of the earthquake. They brought in medical supplies and also worked with a local agency to help them get funding to rebuild houses. Passang was born in Nepal and lived there until he was 10 years old, when he moved to Gloucester MA where he has lived for the past 14 years. He is a student at Benjamin Franklin Institute of Technology in Boston, but currently taking a leave from school to work. 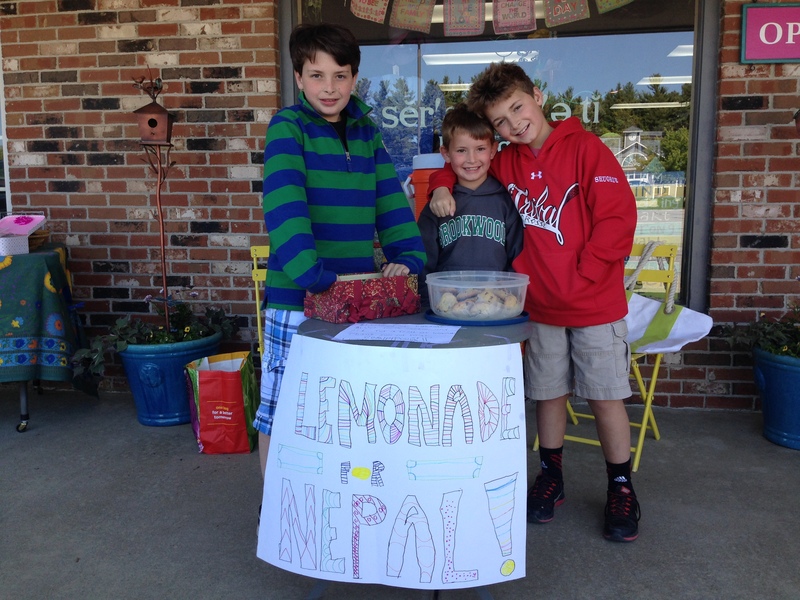 Passang has family in Nepal and made many friends there over the past 2 years while visiting the country. The “relief and rebuilding” organization that Passang is now part of in Nepal started after the earthquakes. The founders own a hostel for tourists in Nepal. They started with doing alot of rubble cleaning, and then began building temporary shelters, planting trees, and really “anything to better our Nepal”. As a volunteer for Donation for Nepal, Passang led a couple groups of volunteers and built temporary shelters in villages and outskirts of Kathmandu. He says, “I really enjoy working with the people from this organization; I have learned a lot from them.” They are currently working on rebuilding schools and temporary homes. Passang says they are are having some problems with funding but not so much with manpower/volunteers. Eva, of Cambridge, is an architect by profession, but has been a full time volunteer in an effort to build EDWON, which she co-founded in 2003, having had ties to Nepal since 1998. Relief work was not part of EDWON’s repertoire previously, but has quickly become so now. EDWON’s mission is to empower marginalized women in rural areas by organizing them into savings groups. Through education, EDWON offers them tools to develop economically, to claim their human rights and to live in dignity. Through grants to women-led committees, EDWON is organizing construction of homes and sanitary facilities for 28 communities in which they have women’s savings groups. They hope to be able to help 1400 families or about 7,000 people in southern Gokrha. Most are women and children. More long term they are looking at livelihood skills development. Eva was in Nepal in March this year to work with their partner, ADWAN. The villages she visited are now 80% destroyed. The Center for Global Philanthropy at The Philanthropic Initiative (TPI) established the The US-Nepal Fund at the Boston Foundation, a unique donor advised fund that will draw from the wisdom of Nepali Americans and international development experts to assist grassroots Nepali organizations caring for the victims of the earthquakes which struck Nepal on April 25 and May 12. Nepali involvement will ensure cultural competence, provide needed networks, and lend crucial expertise to ensure every dollar sent goes to organizations that can have the greatest impact locally. All funds raised will support community-led, long-term reconstruction and renewal with attention to human rights. 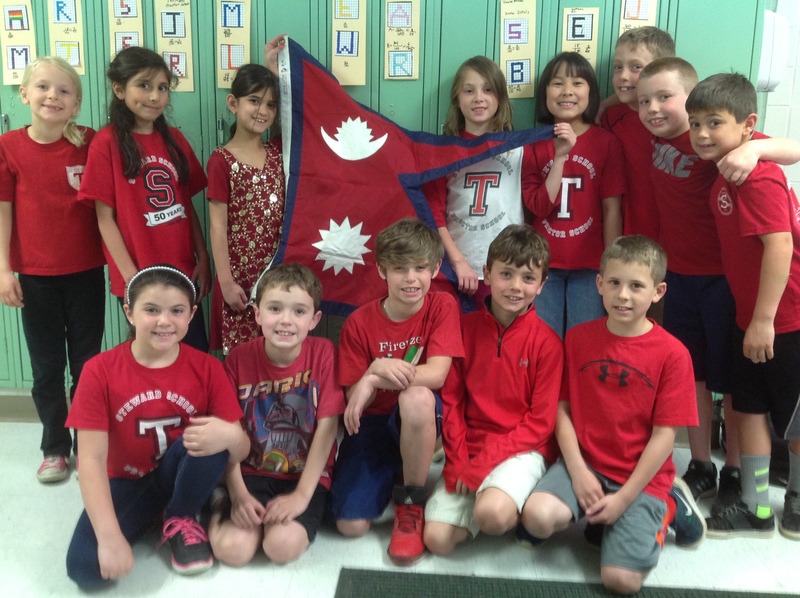 The US-Nepal Fund is seeded by a challenge grant from donors of the Boston Foundation community, Karen Keating Ansara and Jim Ansara. The Ansaras, long-time grant makers to Nepal, will match the first $100,000 in gifts from other funders. All donations will support reconstruction and renewal efforts, as administrative fees will be covered through the initial grant. The fund will distribute all funds by December 2015. Umesh Bhuju was born in Nepal and came to the US in 1990. He and his wife, Zillie, own ZUMI’S cafe, which has always upheld a business model that promotes social justice and supports the wellbeing of the local and global community and environment. 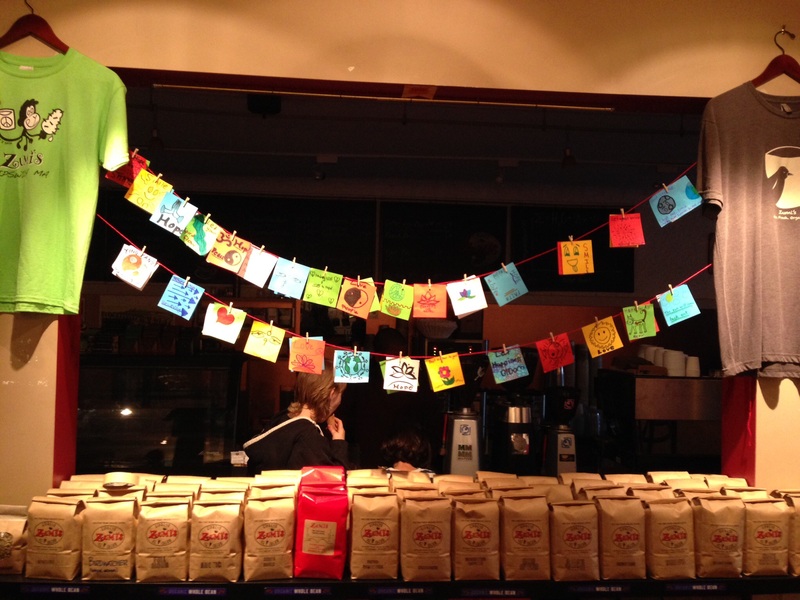 One relevant example is that in 2006, Zumis coordinated with Oxfam America’s Coffee Campaign to host fair trade coffee farmers in Ipswich, where they presented their stories at the café. In 2001, Zillie participated in a social work tour of Nepal, and gained insights that have helped inform recent decisions on how to help Nepal now. 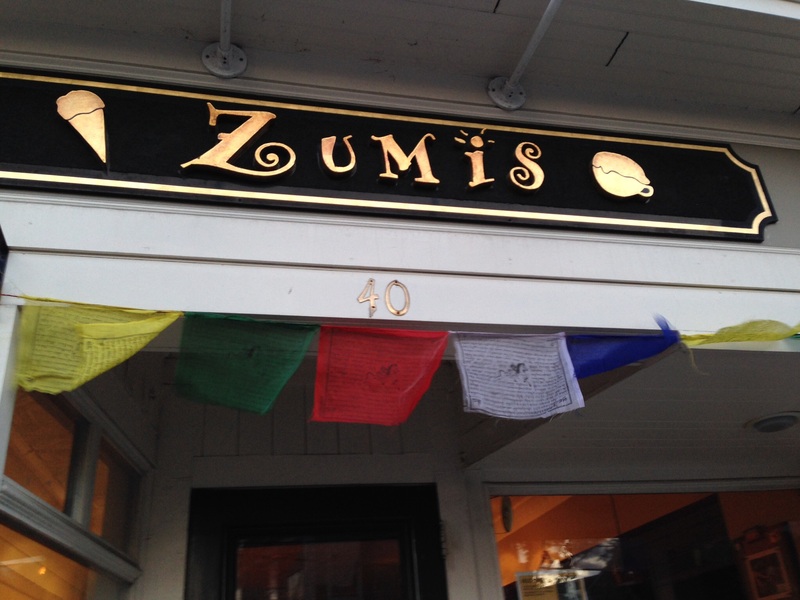 Mobilizing quickly after the earthquakes was a natural extension of what ZUMI’s does – The family’s personal connection to Nepal simply magnified the depth and scope of their drive to help, and was a major factor in the overwhelming response from their community. 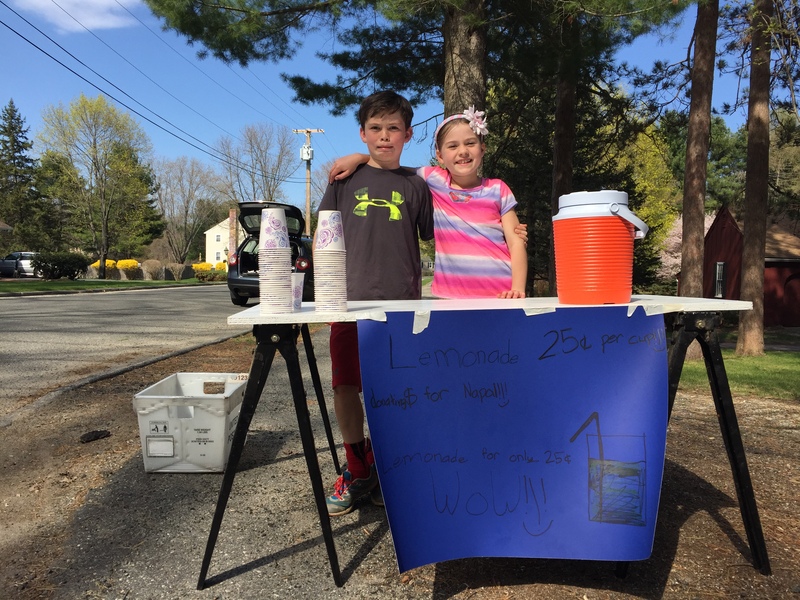 After raising nearly $80,000 for Oxfam America’s Earthquake Relief work, the couple is now shifting their focus to long-term rebuilding, and will be advising the US-Nepal Fund at the Boston Foundation to this end. Umesh was one of two Nepali-Americans to talk about the philanthropic response to the Nepal Earthquake, the other being Manas Adhikari of Baupost Group. Other panelists included Haiti Fund Director Peter Noelle, All Hands Volunteers Founder David Campbell, China Charity Alliance Director YouPing Liu, and China Charity Donation Development Center Director ShiJie Zhang. Facilitated by The Philanthropic Initiative’s Partner at the Center for Global Philanthropy, Maggi Alexander and PhilanSci Founder Helen Yingsheng Li, the conversation explored what lessons have been learned to effectively respond to disasters and how they are being applied in Nepal, what the local Nepali diaspora community is doing to assist with recovery, and how China’s foundations and NGOs, as newcomers to international philanthropy have contributed both in direct response and as funders. Thank you to all who supported our fundraising efforts, for Oxfam, to help the people of Nepal. You helped us raise over $77,000.00 in less than two months! We were deeply moved by the outpouring of compassion and generosity immediately following the earthquakes, and we want you to know that your help has already gone a long way in Nepal. We invite you to join us to hear directly from the Acting Director of global Humanitarian Response for Oxfam America, Nahuel Arenas (See Bio below). This is an exciting opportunity to hear first-hand about Oxfam’s work in Nepal, and about accountability in humanitarian aid delivery. 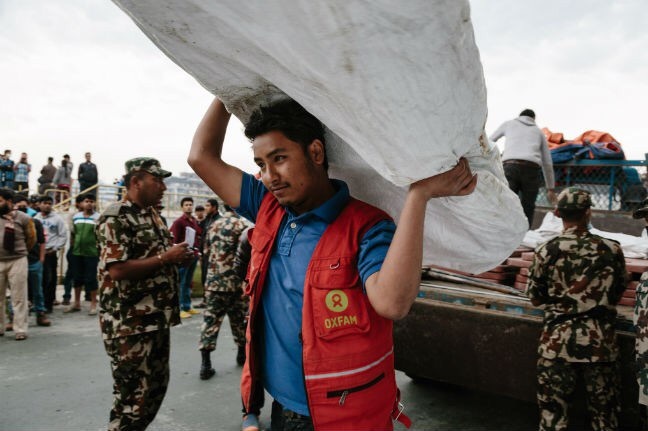 Come learn how Oxfam’s approach to local partnership, rather than charity, comes into play in their relief and recovery work in Nepal and around the world. 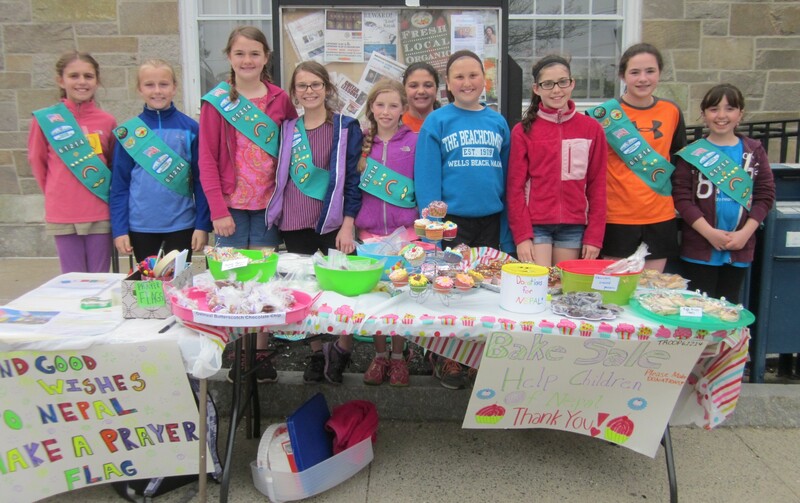 Light refreshments will be provided; with live acoustic music by Peter Mercier of Salem. 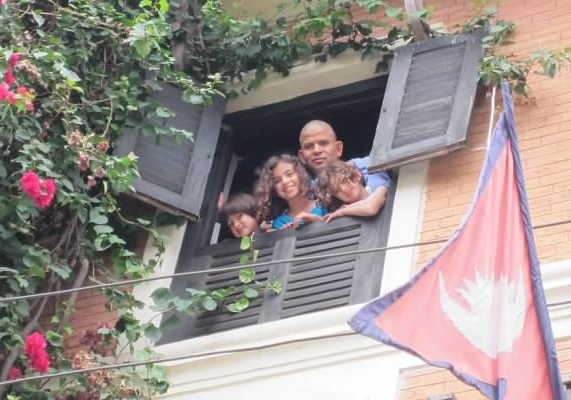 Umesh (aka “Zumis”), with his kids, in Bandipur, Nepal, in 2011. Please join this event on Facebook, via Zumi’s FB page, so we have an estimation on how many guests to expect: https://www.facebook.com/events/468577059971834/ – Thank you. Nahuel Arenas joined Oxfam in 2007 and since then has occupied several positions in the organization, leading humanitarian responses in Mozambique, Chad, Mauritania, Burkina Faso, South Sudan and supporting Oxfam’s response in Haiti. He has previously worked for Action Against Hunger and the Japan International Cooperation Agency (JICA) in different countries, and consulted for UN-HABITAT. He holds a Master’s degree in International Politics by the School of Oriental and African Studies (University of London), and degrees in Crisis Management and Public Policy. Nahuel joined Oxfam America in 2013 as Deputy Humanitarian Director, and is currently Acting Director of the Humanitarian Response Department. 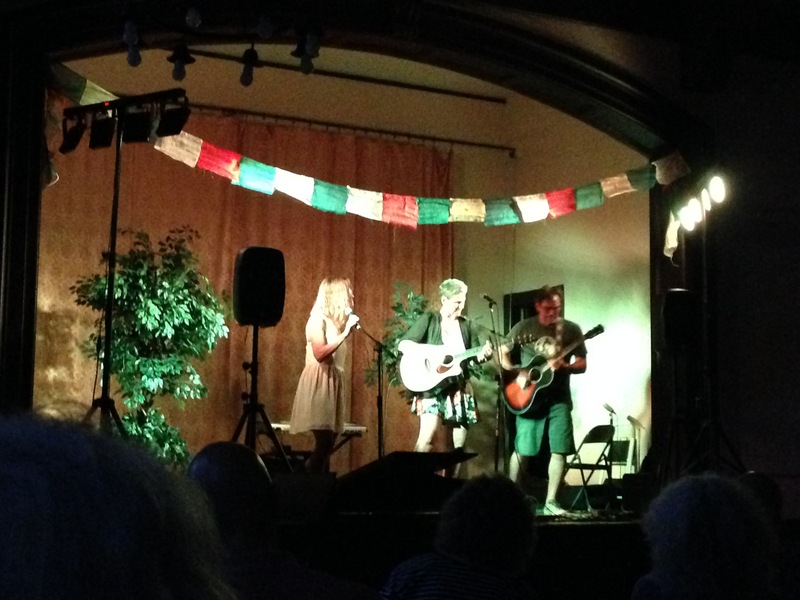 Sunday night (6/14), we were honored to be part of a special grassroots fundraiser in Newburyport, MA. 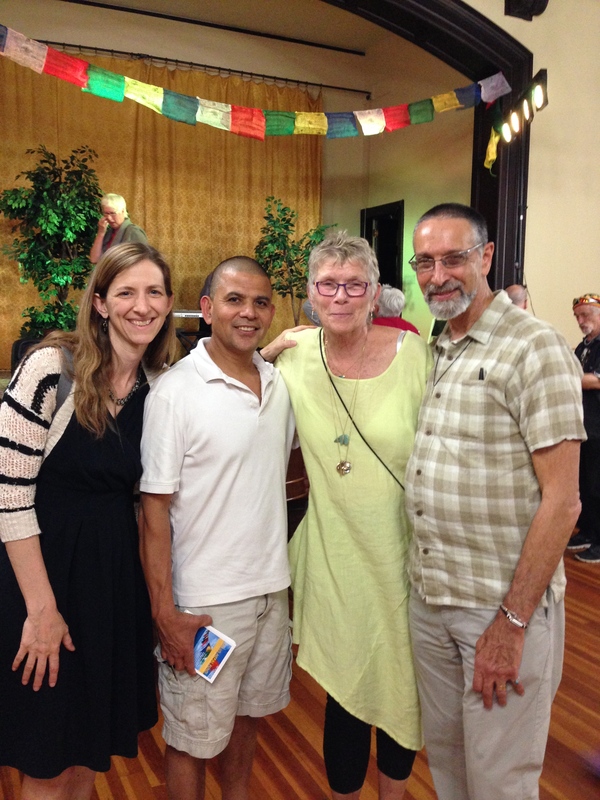 Sheila and Joel Grossman coordinated a musical fundraiser simply because they felt compassion for the people of Nepal and wanted to do something. 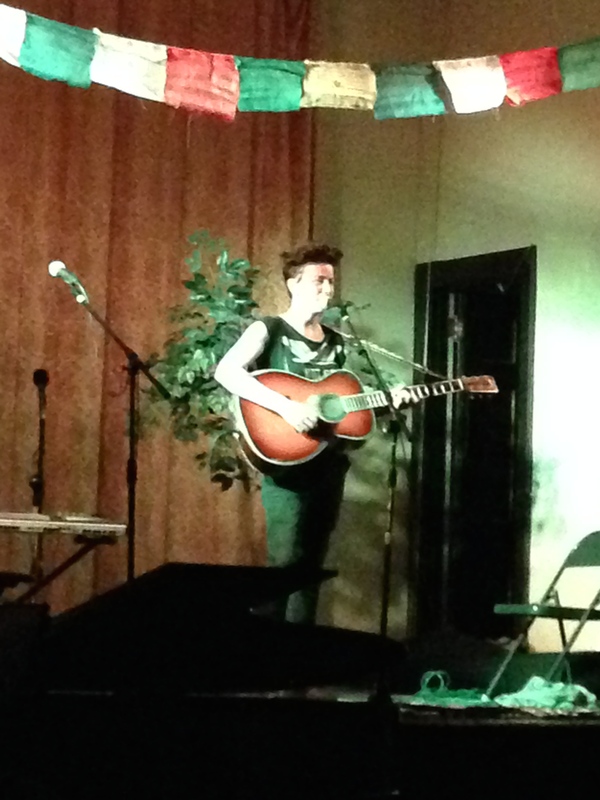 With the help of their community, local businesses, and musician Melissa Ferrick, they pulled together a beautifully inspiring event that filled the air with uplifting energy, and raised awareness and funds for Nepal’s recovery since the devastating earthquakes. We were inspired by great music from the talented, singer-songwriter Melissa Ferrick, Liz Frame and the Kickers, and others. Once again, we are humbled by people like those we met Sunday night and their generosity of spirit! WOW!!! 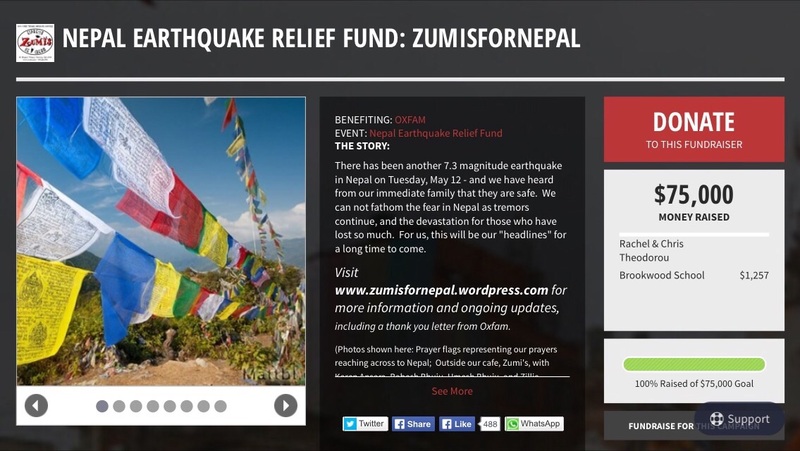 Today, the $75,000.00 goal was met on our fundraising event at http://www.crowdrise.com/zumisfornepal – This is truly amazing!!!! We still feel deeply moved by the support from our local community for the earthquake relief and rebuilding work in Nepal. 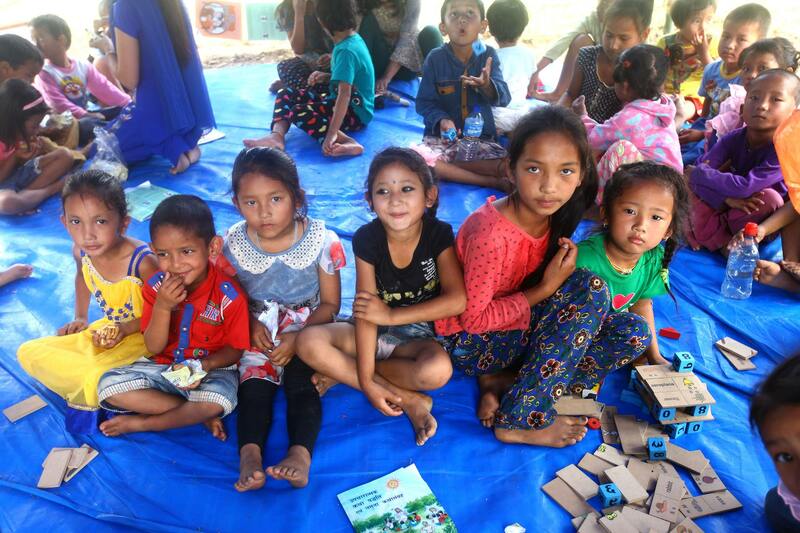 Today, we read stories from Nepal about schools reopening, with many rural schools held in makeshift structures, and the children are more grateful to have a “school day” than most kids I know are to have a vacation day! A natural disaster of this magnitude puts things in a whiole new perspective. There is still alot of work to do, but this milestone for school-children shows us that the relief efforts have made an immeasurable impact. We are working on a plan for early July to host an event for our community to share more about Nepal and the impact of this kind of support there since the earthquakes, as well as “what’s next.” Will post information about this soon! After the two major earthquakes in Nepal on April 25th and May 12th, with the numerous aftershocks and tremors, devastating communities in Nepal, we felt helpless at first in our desire to help from this great distance. But – immediately – our community here on the north shore of Massachusetts became like a bouy for us as we navigated the world of philanthropic support for relief efforts, followed by long-term needs for rebuilding, always with human rights and concern for vulnerable populations weighing on our hearts. We thank our community for playing this role with such genuine compassion, and following that with such an overwhelming outpouring of support. 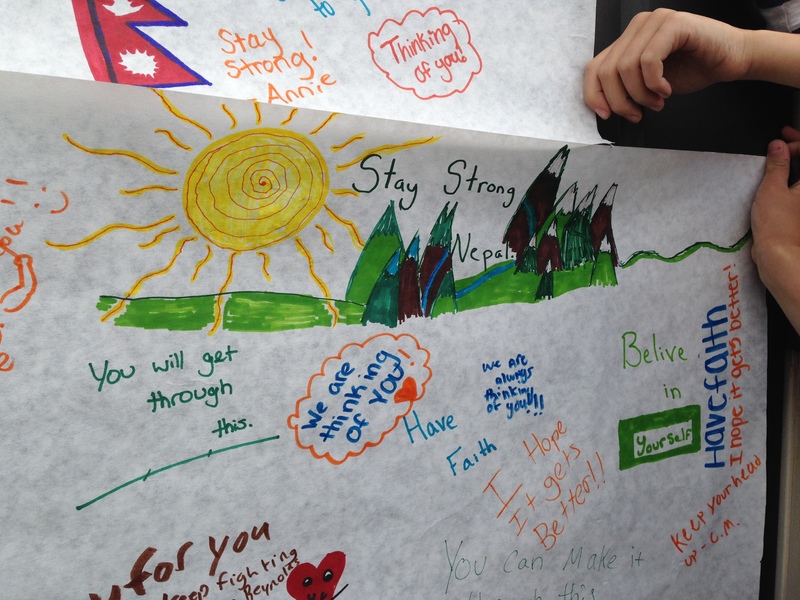 In addition to this, thousands of dollars were raised toward UNICEF-Nepal by children across the north shore – Many are showing their support with prayer and messages of hope – some hanging prayer flags, others creating messages of hope on small “prayer flags” and/or banners (some hanging at Zumi’s now) – We have been sharing photos of these messages with contacts in Nepal, letting them know that their struggles are known and children across the globe are thinking of them with care and support. 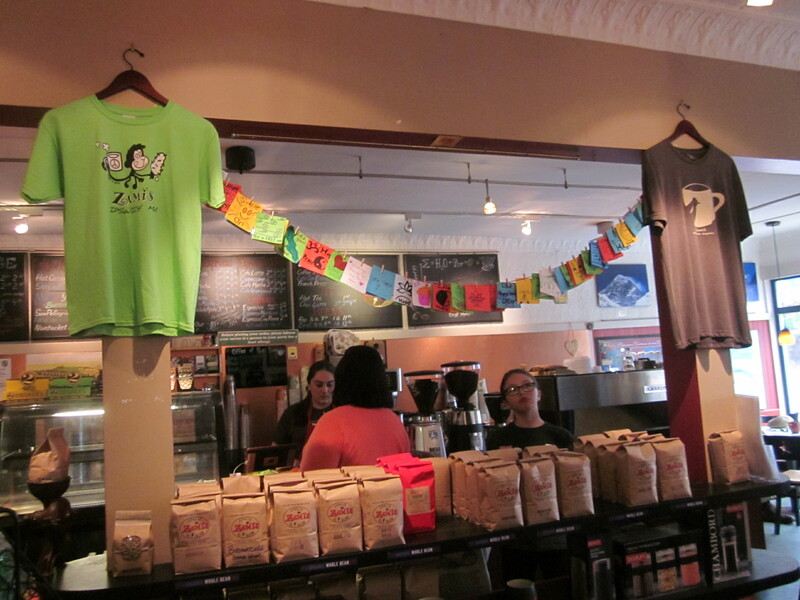 Ipswich Middle School made banners with messages of hope and support, now hanging up inside Zumi’s! 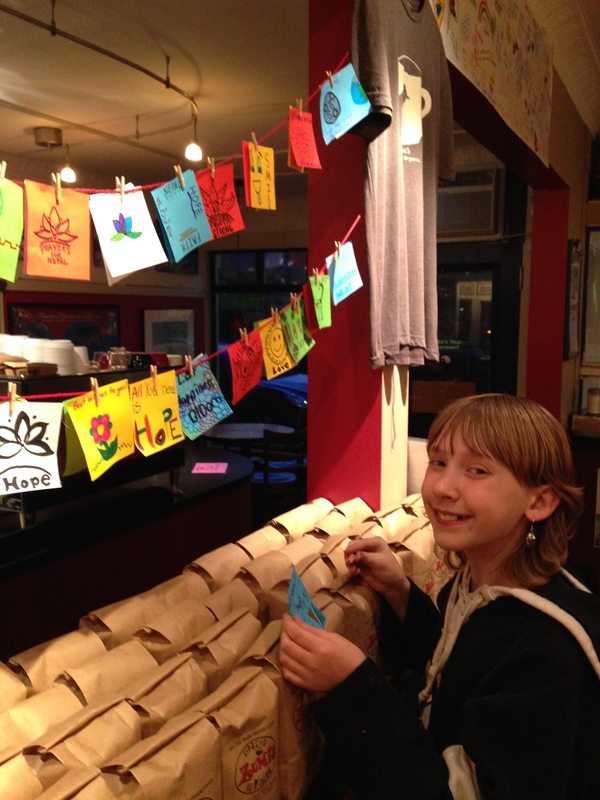 More mini-prayer flags at Zumi’s! 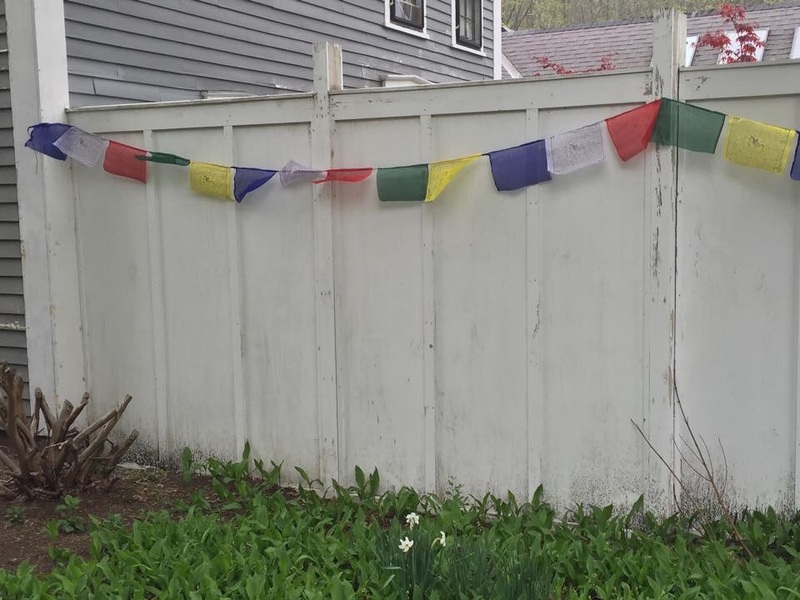 Kiki LaRouge of Newburyport with prayer flags at her photography studio, doing her part to support the people of Nepal. 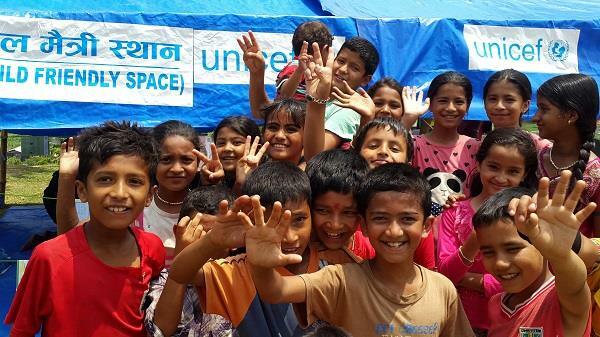 While Nepal is no longer in the headlines, the needs there are still quite pressing as the monsoon season begins and thousands are still struggling. This means we are now moving into our “phase 2” efforts. Umesh and I will be among the advisors for the fund, and will also be looking to host en event about it in the near future, as well as find a method to accept and process donations that are less than the $250.00 minimum on the Boston Foundation donations page. 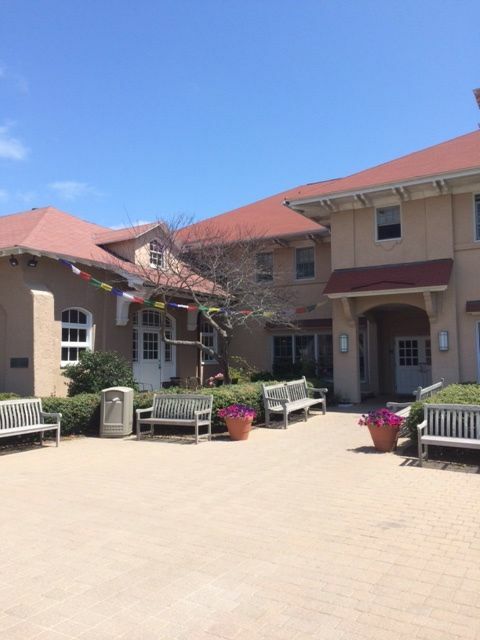 We are connecting with organizations in Nepal, and individuals in our area and in Nepal, in our effort to support the experts at the Boston Foundation and The Center of Global Philanthropy, which is directing the fund. Umesh has also been invited to be part of a panel about the role of philanthropy in Nepal – at the Boston Foundation on June 18th. 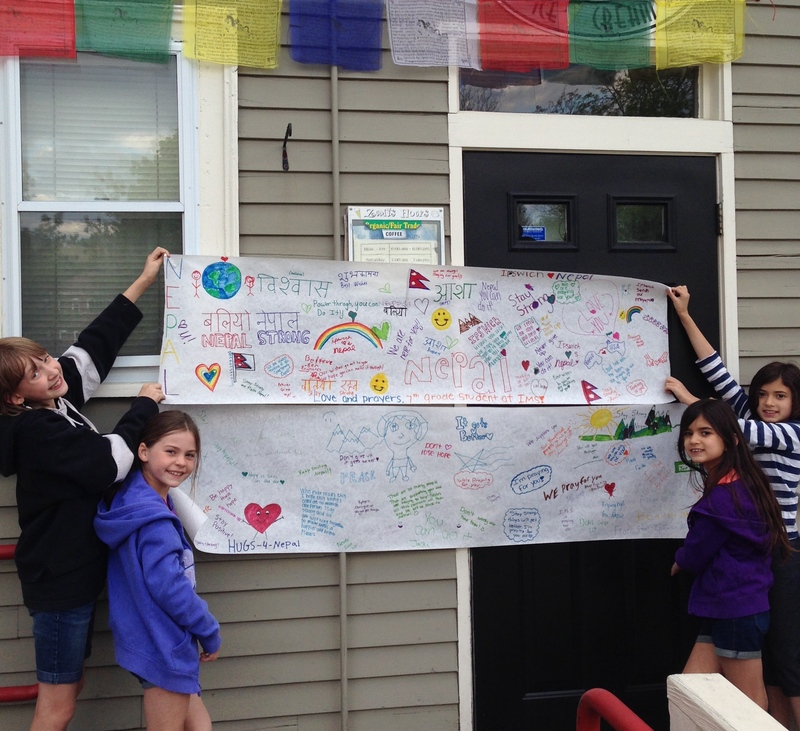 Thank you to many young people and school groups in our area who are showing they care for Nepal – We are touched, and your energy is uplifting! THESE KIDS ALL DID A GREAT JOB and showed their BIG HEARTS!!! That is enough for today. Perhaps tomorrow we will post more beautiful images – There are so many – Images of people coming together and helping one another; spontaneously organizing and collaborating with relief workers as they have been; rescuing children and giving them safe spaces to play and be kids in the midst of all this; literally picking up the pieces; perhaps tomorrow. Today we only pray for some respite for the people all over Nepal… Pray for a calm night, and a peaceful tomorrow. Enough.